A great list of fun things to do in Door County, Wisconsin, including brunch and dinner restaurants, wineries, hiking and more! Whenever I share a travel post, they tend to become super popular, which you think would mean I’d write them as soon as we get home from a trip. But they always seem to take a backseat to decorating and DIY projects around here. But I’m trying to work them into my posting schedule over the next few months since obviously you all love to travel as much as we do! Plus when family and friends plan a trip to somewhere we’ve been, Kalen always tells them to check out the blog for my post on what to do in that city … which doesn’t work so well when I haven’t posted about it yet. Whoops! 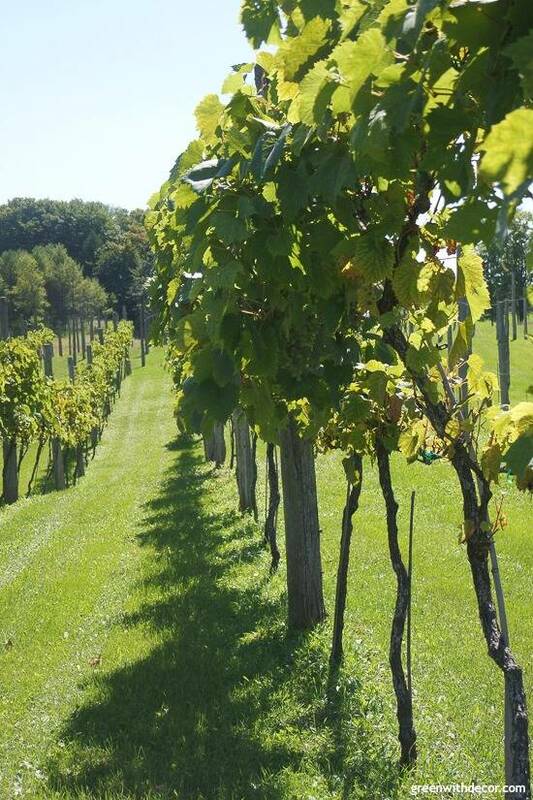 So today let’s chat about fun things to do in Door County, Wisconsin because any vacation with a bunch of wineries, delicious food and pretty views while hiking is definitely worth talking about. Since Door County is made up of a bunch of little towns, I noted which town each restaurant, winery, etc. is below so you can easily plan your days based on where you might be. We also took waaaaay too many pictures on this trip so I apologize in advance for the photo overload. I tired my best to narrow it down, but I love vacation photos! Casey’s BBQ was one of our favorite meals in Door County. We love BBQ, and everything we got was delicious. It’s a fun little dive bar. 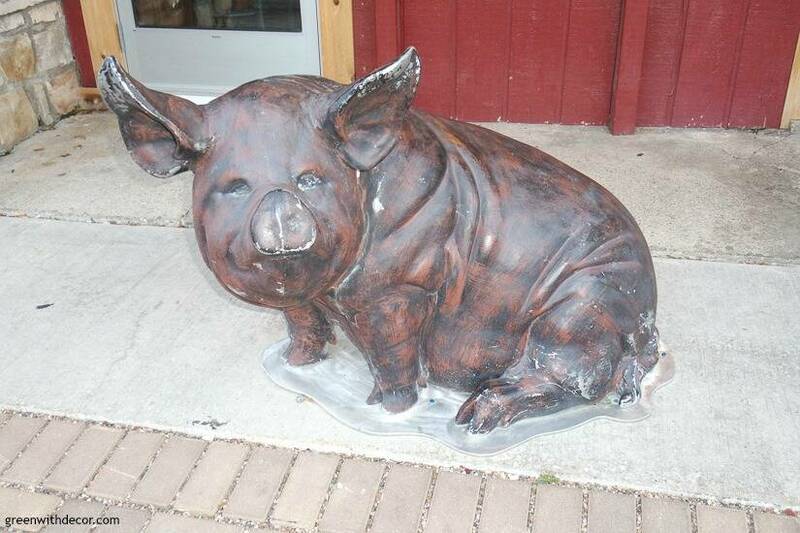 Plus how cute is this little pig out front?! The Cookery is a cute spot. They have breakfast, lunch and dinner. It’s right on the Main Street in Fish Creek so it’s easily walkable to other bars/restaurants and shops. Wild Tomato was on our list, and then we ran out of time and never made it there. But I wanted to mention it because we heard soooo many good things. 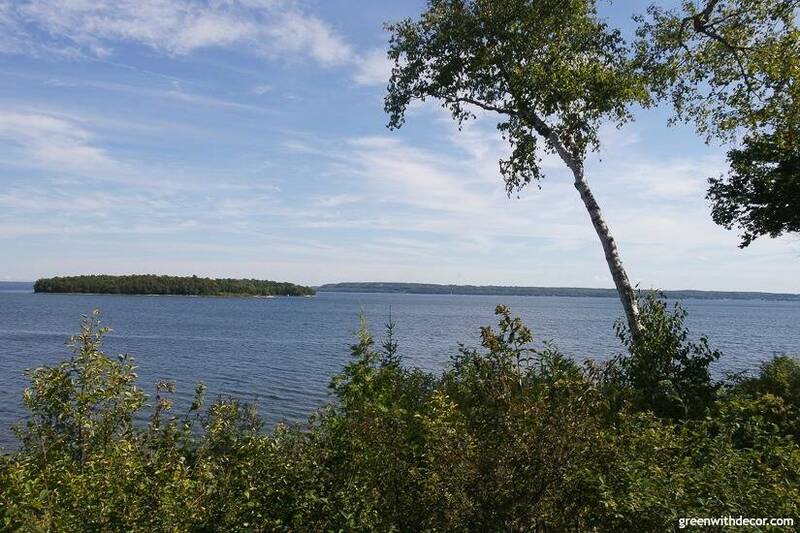 It’s on our list for our next Door County trip! Wilson’s is the cutest ice cream parlor ever, it’s basically like stepping back in time. And the ice cream is DELICIOUS! Plus it’s right across the street from the water so you can grab some ice cream and then sit out and enjoy the views. OMG, this is up there as one of the best brunches we’ve ever had. The French toast was DELICIOUS. The White Gull Inn is a cute bed and breakfast, so you can stay there, too. They also have one of the infamous Door County fish boils on Friday nights. Plus it’s a close walk to pretty views of the water. The Village Cafe is a cute, eclectic breakfast and lunch place. We went for breakfast. The food is good, and the colorful decor is worth checking out. What are your other favorite restaurants in Door County? We had a few other favorites that have since closed so we need some new spots to check out next time! 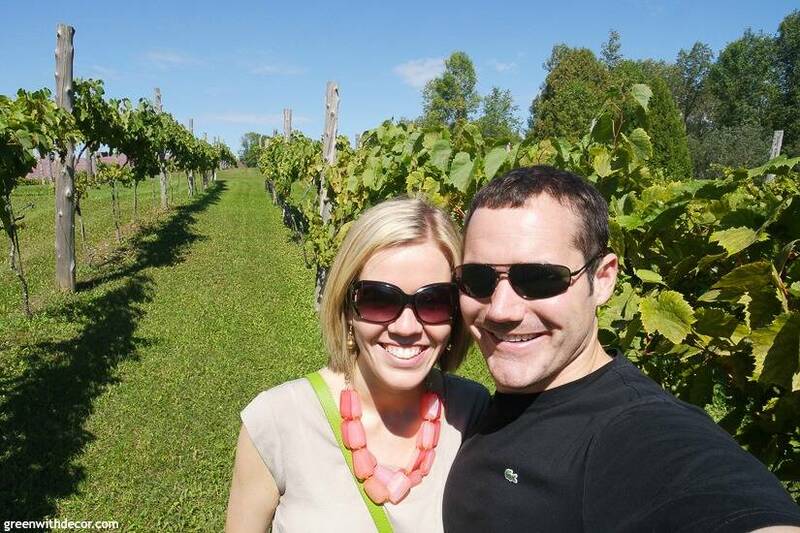 There are so many good wineries in Door County. I’m a huge fan of Riesling and loved it everywhere we sampled it. The wine was delicious. They had a bunch of good fruity wines that are fun to try. They also have a cute shop full of gifts and food that’s fun to walk around. Think homemade fudge, cheeses, mustards, anything cherry you can ever imagine and more! This was by far the best vineyard, it was so much fun to walk around the rows of grapes. It made for pretty pictures! The wine was good, too, of course. And the outdoor deck is a perfect spot for sipping some wine and looking out over the vineyard. They have live music out there on weekends so be sure to check the schedule. There’s a tour offered once a day, but we didn’t hit the timing right so didn’t do it. There’s a cute gift shop to walk around here, too. I often get questions about this necklace whenever I share a pic of it. I love it, but it’s from Limited (ugh, RIP). This one is really similar if you’re looking for one. 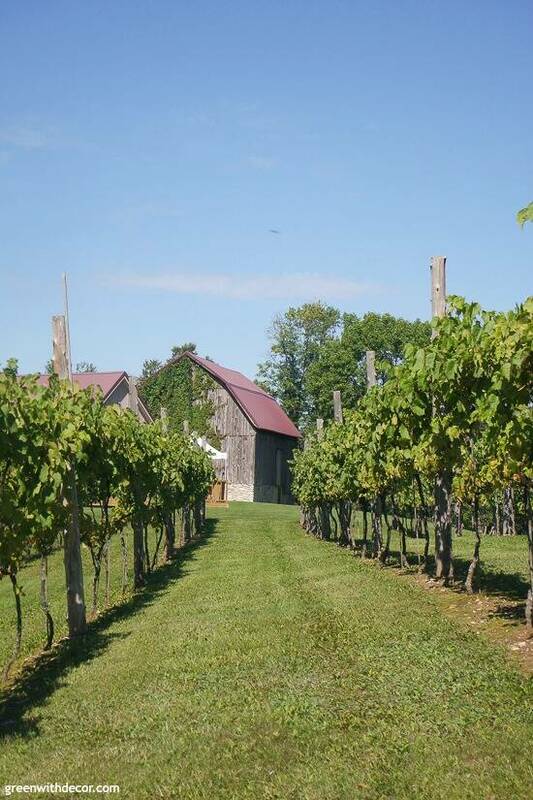 The wine at Stone’s Throw Winery was delicious, definitely do the wine tasting. Plus the whole setup is just so pretty. The stacked wine barrels outside were probably my favorite part. There are bocce ball courts and picnic tables if you want to hang out for a while. The wine here was good, but my favorite part was probably the Wisconsin cheese store right next door. I really love cheese, haha. They had a cute gift shop, too, and we ended up buying a few fun things like a little Wisconsin sign and a wine bottle stopper/pourer to keep wine fresh when you don’t quite drink the whole bottle in one sitting. Lautenbach’s has all sorts of delicious fruity wines plus a fun gift shop. There are all sorts of cute little shops that are fun to walk around in. We ended up with some fun home decor items (surprise, surprise), and I got a cute green purse – I’m pretty predictable, ha! I loved these little brick arches! The hiking here was so pretty! There are so many pretty views at various points throughout the park. The Eagle Bluff Lighthouse Museum is a fun stopping point, too. 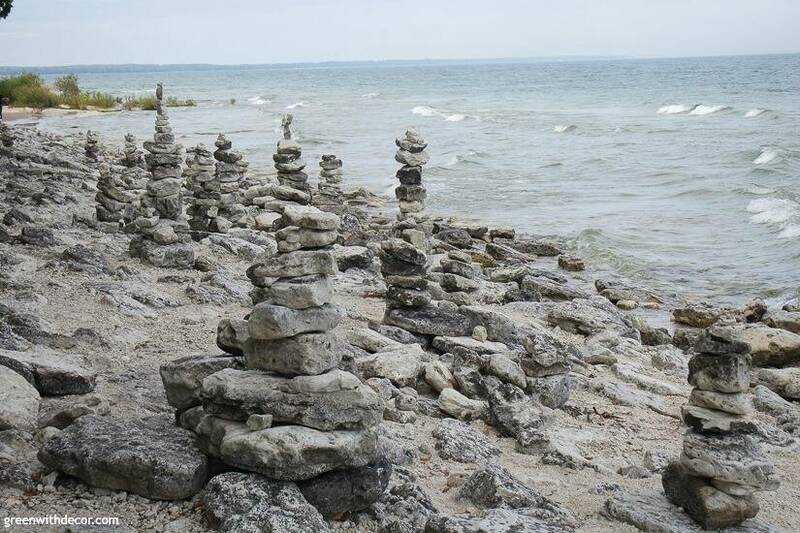 These little rock towers were huge on our honeymoon in Aruba, so it was fun to see them again all the way up in Wisconsin! I’ll lay at the beach anywhere so obviously we found time for the beach. We used to go to Door County when I was a little kid, and one of my earliest memories of the place is the goats on the roof. Yes, you read that right. Goats on the roof! They have a sod roof, and real live goats roam around up there. It’s a sight to see. They have a full restaurant, too, but we didn’t eat there so I can’t comment on the food. We actually didn’t make it here, but we heard so many good things about the ferry over to Washington Island that I wanted to mention it! If our trip had been an extra day or two, this definitely would have made our list. 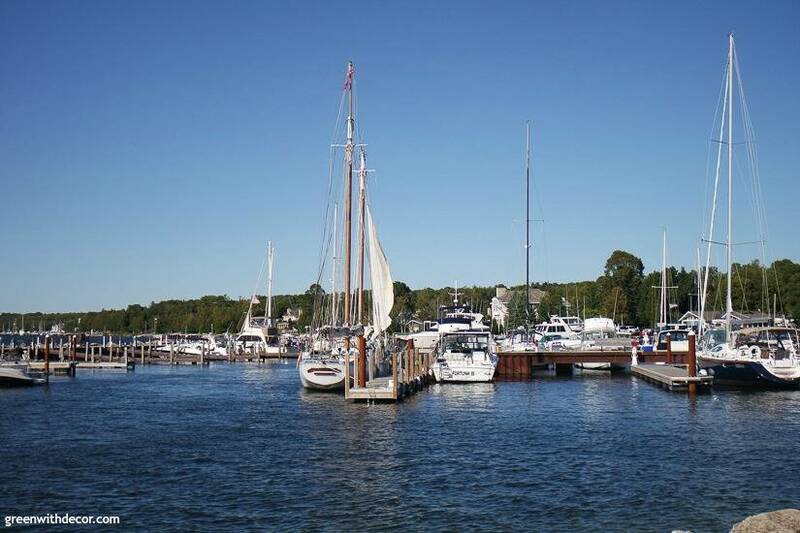 What else are your favorite things to do in Door County? We’ll definitely be back! I am from Door County(Sister Bay) and adore seeing a place I love so well represented, it was a great list! I would include Cave Point Park–stunning views. And there is a short trail you can take from Cave Point that leads you to Whitefish Dunes State park which is adjacent. Plus the trail isn’t generally busy so it gives you an opportunity to take scenic photos of the caves minus the crowds. Families absolutely need to check out the Farm. A fantastic chance to see lots of animals in a gorgeous setting and to feed a baby goat! Ooh fun, thanks for all of the tips! Cave Park sounds great!